Whether it’s a swag bag for meeting-goers, branded bites at events or an unforgettable VIP gift for execs, here are some creative ways to show your appreciation with a Chicago twist. Garrett Popcorn has been a Chicago staple since 1949, and many a visitor has been lured by the aroma of freshly popping kernels wafting from storefronts on Michigan Avenue and Randolph Street, among others. But Garrett is also a top choice for corporate gifts and party favors. 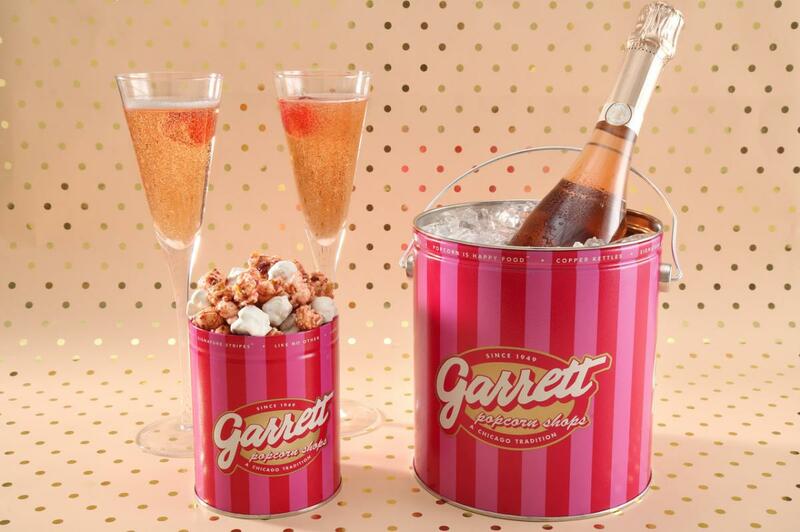 Work with Garrett reps to create custom flavors, tins with corporate logos or special messaging and single-serve popcorn bags and tins to hand out at events. Voted Illinois&apos; best candy store by Food Network magazine, Candyality can help you create corporate gifts that deliver your message straight to the recipient&apos;s sweet tooth. Another Chicago institution, "Nuts on Clark" specializes in tins of gourmet popcorn, nuts, candies and dried fruits. Their website even allows you to upload your address book for easy ordering, customizing and shipping. When it comes to gifting, it doesn&apos;t get much sweeter than Vosges Haut-Chocolat. This chocolate company began in founder Katrina Markoff&apos;s Chicago kitchen and is now sold in luxury retailers like Neiman Marcus and Bergdorf Goodman. Along with standard gift sets, Vosges has in-house Corporate Chocolate Concierges to help select, customize and package the perfect gift. Bet you never knew toffee came in such varieties as Orange Blossom, Lemon Paradise and Lavenilla. Leave it to Chicago&apos;s Terry&apos;s Toffee to push the flavor possibilities. But we recommend the Chai-cago - an infusion of cinnamon, cloves, ginger, nutmeg, cardamom and pepper, dipped in dark chocolate. 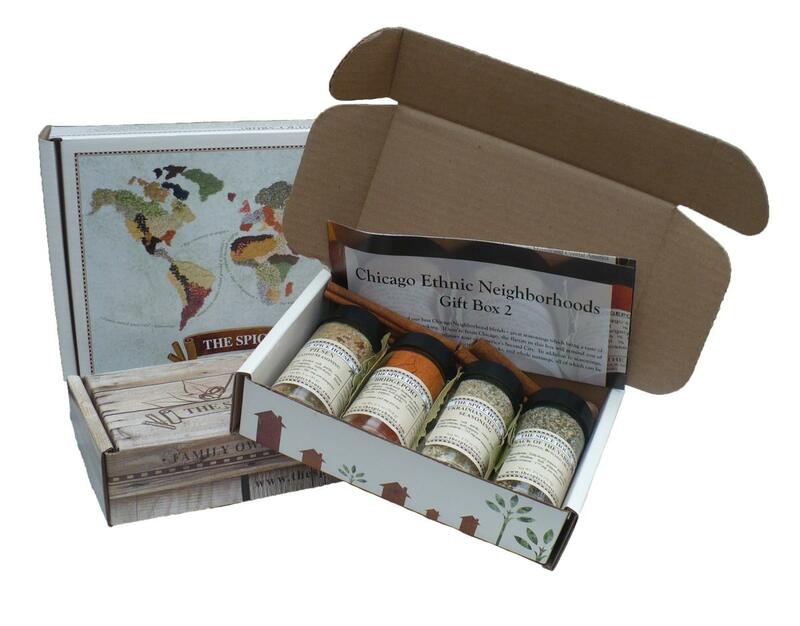 The Spice House makes ethnic Chicago neighborhood blends that offer a taste of the city&apos;s diverse cuisine, with varieties like Bronzeville Rib Rub and Ukrainian Village Seasoning. Another way to deliver a taste of Chicago is through the restaurants, breweries and spirits distillers that sell packaged or bottled products. Think guacamole mixes and olive oils from Frontera Grill, IPAs from Goose Island, non-alcoholic Chicago Draft Style sodas from Cool Mountain, or a bottle of single-barrel rye whiskey from KOVAL, Chicago&apos;s first distillery. Perhaps the best way to make a client or meeting-goer feel special is with a from-scratch gift basket or novelty items. Preferred Stock specializes in exquisitely styled gift baskets, gourmet food, amenities and all-occasion favors with exclusive Chicago designs. Total Promotions has a virtually endless supply of promotional product ideas, everything from corporate apparel and other wearables to leather power banks, bags and more - all totally customizable. Transit Tees is an official manufacturer for the Chicago Transit Authority, using imagery, CTA branding and subway maps to produce hats, patches, t-shirts and more from their Wicker Park design studio and retail shop. Custom printing is also available to help you say "thanks" with style. Chicago&apos;s many museums are also home to some of the city&apos;s most unique gift items and souvenirs. 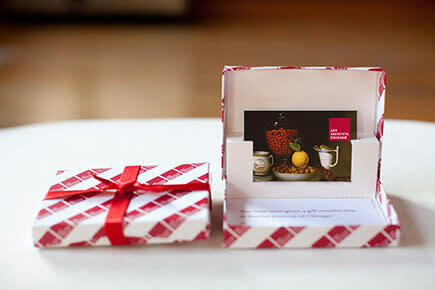 Visit the onsite (or online) gift shops of museums such as the Art Institute of Chicago and Chicago History Museum for items that educate as well as entertain. Or head to the Chicago Sports Museum for baseball-centric items and The Field Museum for more only-in-Chicago gifts (like a dino-foot coffee mug in honor of Sue, the famous T. rex). The Chicago Architecture Center store offers volume discounts and a special section for corporate gifting, with wide-ranging merch like books, thermoses and totes emblazoned with Chicago&apos;s most famous buildings.